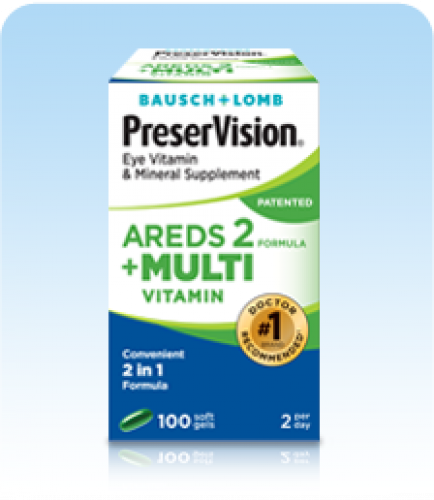 PreserVision is the first leading brand to combine the AREDS 2 nutrient formula with other essential vitamins and minerals typically found in daily multivitamins. 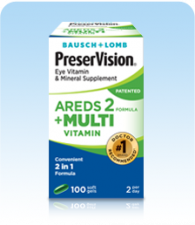 This convenient 2-in-1 formula helps make it simpler for you by reducing the number of pills taken each day. Directions: Take 2 Soft Gels daily with food; 1 in the morning, 1 in the evening.